This is made of robust high density ABS plastic. It has a modern and ergonomic design that enables extremely easy handling and storing of six micropipettes. This durable stand is compatible with most Single & Multi Channel pipettes. 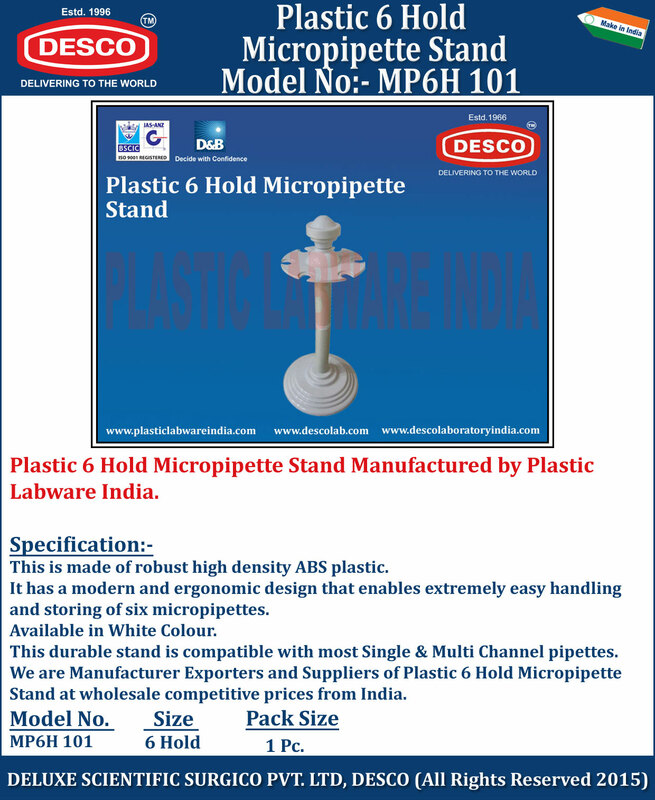 We are Manufacturer Exporters and Suppliers of Plastic 6 Hold Micropipette Stand at wholesale competitive prices from India. MP6H 101 6 Hold 1 Pc.